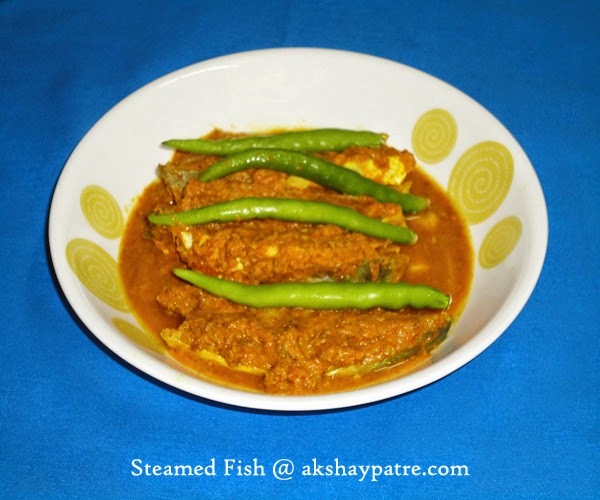 Steamed fish recipe - My younger son doesn't like much coconut in any dish. Therefore every time I make coconut based fish gravy, I feel that I should have done it without coconut. I could have fried the fish with green masala or red masala paste, but the fried fish is going to be dry and it doesn't have any gravy. So, I have steamed the pomfret with flavorful masala. I have used ginger, garlic, green chillies and cumin seeds as basic ingredients for the masala. In case you like the flavor of cilantro, you can use the same which goes very well with it. If you are using it , use half cup of chopped coriander leaves along with other ingredients. If you don't like green chillies in masala, instead of green chillies, you can use red chilly powder or whole dry red chillies. The ground masala was thick and the steamed pomfret with gravy was really delicious , flavorful and we enjoyed it. To keep the gravy thick and to prevent the steaming water in the fish gravy, you need to steam the fish in a steel box with tightly closed lid.I have steamed the pomfrets in a pressure cooker, but it can also be steamed in a steamer. After steaming, the fish pieces absorb the flavor and taste of the masala which makes the fish really very delicious and tempting. This steamed pomfret goes well as a side dish with vegetable biryani, jeera rice, pulao and steamed rice. White pomfret is also known as silver pomfret. Its preservation for a week at home is very simple. The cleaned and washed pomfret needs to be kept in the deep fridge with or without applying masala. White pomfret is very popular and high in demand fish because of its lesser odor (smell) and high nutritional value. Above all, it is a hassle free fish to clean with soft bones. Pomfret is easily digestible fish, hence small kids can also eat it. It is a good energy provider, since it contains good amount of proteins. White pomfrets are rich source of vitamins such as vitamin A, B1, B2, B3, B6, B12, C, E and it helps to retain moisture in the skin and prevent dryness. Pomfrets are good source of minerals such as sodium, potassium magnesium, phosphorus, iron and manganese. Try this wonderful, delicious steamed pomfret and enjoy it with some nice fresh salad, steamed rice, pulao or vegetable biryani . Clean and cut the pomfrets into thin slices. Thoroughly wash them under running water . Drain and put them in a large bowl. Cut the lime in half and squeeze the juice into the pomfret slices. Add salt and turmeric powder. Rub this mixture to the pomfret slices and keep it aside. Wash the ginger and remove soil. Peel and chop them into small pieces. Peel the garlic cloves. Wash and chop the green chillies. Mix the ginger, garlic, green chillies, chilli powder, and cumin seeds together. Put them in a mixer jar and grind it to a very smooth paste adding very little water. The masala paste should be very thick. 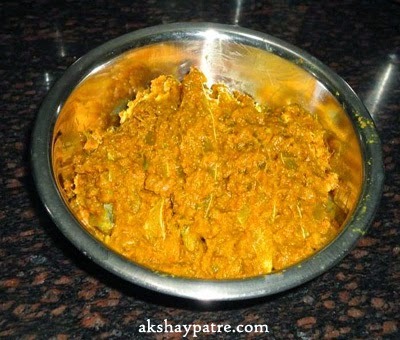 Transfer this masala paste to the bowl, add little salt and mix with the pomfret slices. Combine well till all the fish slices coat well with the masala. Keep this marinated pomfret slices in the fridge for 30 minutes. Arrange the cleaned and washed pomfret slices in a large bowl. Squeeze the lime juice into the pomfret slices. Add the salt and turmeric powder. Rub it to the pomfret slices. Then add the ground masala and salt to it. Combine to coat well with the fish slices. 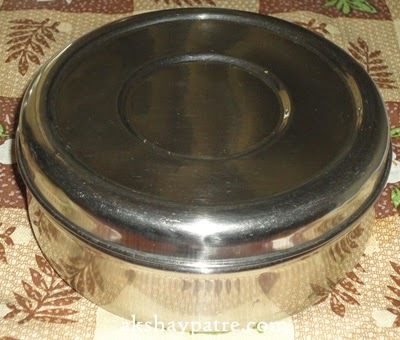 Keep this bowl in the fridge for 30 minutes. Transfer the marinated fish in a steel box. Cover with lid and cook it in a pressure cooker. Take a whistle on high flame and then cook it on low flame for 10 minutes. Switch off the flame. When the pressure releases, serve the steamed fish hot with vegetable biryani, pulao or steamed rice as a side dish. 1. Arrange the cleaned and washed pomfret slices in a large bowl. Squeeze the lime juice into the pomfret slices. Add the salt and turmeric powder. Rub it to the pomfret slices. Then add the ground masala and salt to it. Combine to coat well with the fish slices. Keep this bowl in the fridge for 30 minutes. 2. Transfer the marinated fish in a steel box. Cover with lid and cook it in a pressure cooker. Take a whistle on high flame and then cook it on low flame for 10 minutes. Switch off the flame. 3. When the pressure releases, serve the steamed fish hot with vegetable biryani, pulao or steamed rice as a side dish.